Existem várias gamas de crenças religiosas entre os grupos protestantes. As diferenças na prática são refletidos em seus serviços de casamento. Os protestantes são batistas, luteranos, metodistas, episcopais, presbiterianos e outros. Khaolak Krabi Phi Phi Phuket A relação da Igreja com o Cristo é considerada bem como o relacionamento entre marido e esposa. 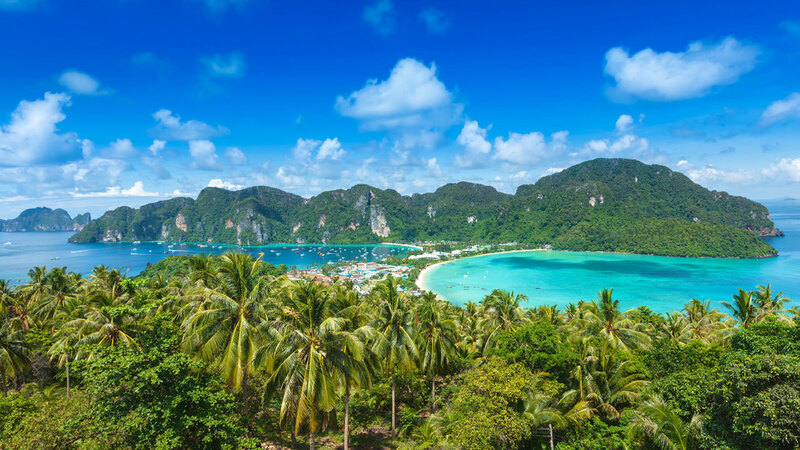 Phi Phi island has it all, scenic ocean views, unbelievable jagged cliffs, endless beaches, and beautiful emerald blue waters, along with incredible bird and sea life-together with a combination of modern yet tropical island lifestyle. Almost like being in a scene from Jurassic Park Maya Bay on Phi Phi Ley, with its prehistoric paintings covering the walls of its caves and caverns, the perfect setting for the adventure film ” The Beach ”. This is certainly a location you’ll remember, throughout the years. Let's us arrange you full details of a wedding so special that you can telling your grandchildren about it on the day of your Phi Phi Island Wedding Packages. Whether you’re planning to get married, or just renew your vows, let our team of experienced professionals, plan and arrange your wedding with Thailand’s leading specialists in romantic ceremonies, we guarantee you the most memorable experience for both you and your love ones. Islamic Wedding Package : Muslim weddings in Thailand can be a simple performing of religious rights, followed by a non-religious ceremony on the beach, near the waterfall or place of choice. Browse our Phi Phi Island Wedding Packages Showcase - Married Couple at Phi Phi Beach : Krabi, Thailand.